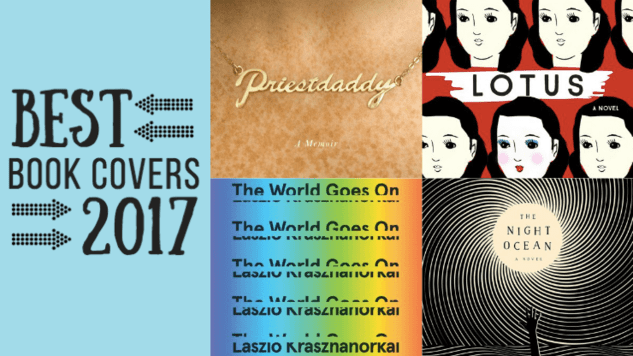 We ignored the cardinal rule of literature—“don’t judge a book by its cover”—to assemble this collection of 2017’s best book covers. The reality is that a striking design can influence whether we’ll pick up a title or leave it untouched on a shelf, so talented designers craft images that will catch our eye as well as communicate a book’s content. With this in mind, we selected 30 gorgeous covers* that weave creativity and practicality into memorable designs. These are by no means the only exceptional covers released this year, but they are some of our favorites. If you want to view even more stunning book covers, we recommend visiting both Spine Magazine’s and The Casual Optimist’s websites. They introduced us to most of our favorites this year, and you can get lost for hours viewing literary eye candy at each site. *Rather than rank the covers, we listed them in an aesthetically pleasing order.